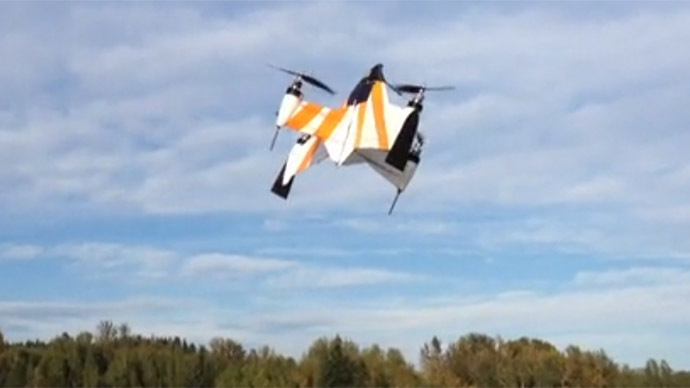 A Kickstarter campaign has raised $35,000 – with just $15,000 to go – for the development of a fixed-wing drone. 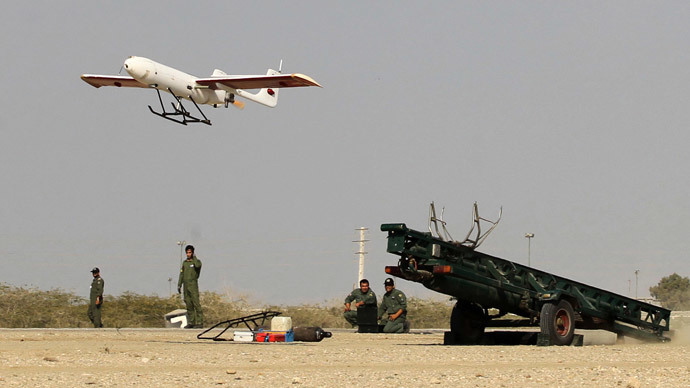 The prototype can soar at speeds of 100 kph, as well as being able to conduct the vertical takeoff and landing of a regular drone. 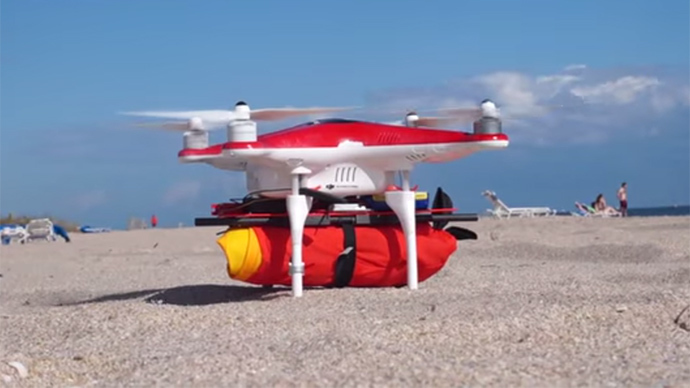 The X PlusOne drone was designed by aerospace engineer JD Claridge. The design has been produced as both Google and Belgium's Katholieke Universiteit Leuven are both rushing to develop similar projects that allow drones to use fixed-wing flight for the sake of achieving greater speeds. “I love the technology around drones and I’ve been involved with it, and as I’ve done that, I’ve really seen a need that’s not being addressed,” Claridge says on the Kickstarter fundraiser page. 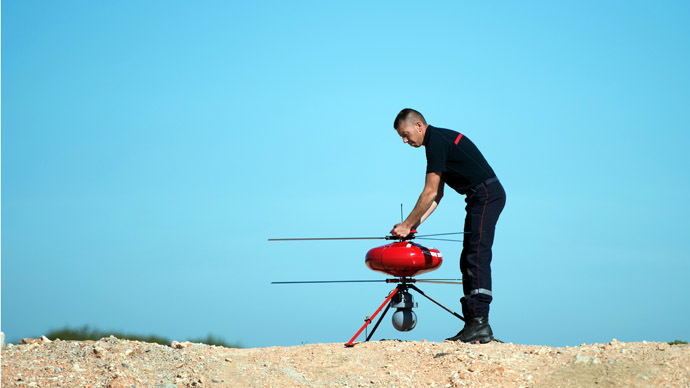 The design of the craft shows that instead of the normal crossed bars, at the end of which the rotors are normally mounted, the X PlusOne has an upwards facing wing, so that if the UAV rotates 90 degrees. Its speed exceeds nearly double that of drones with only the rotors. Claridge says the primary difference is that his team uses aerodynamics to support the weight of the craft thereby increasing efficiency. Stabilization algorithms also keep it steady in the air. Flight time is currently only 10 – 15 minutes per battery charge. As well as increasing the long-debated possibilities for any future delivery drones, it could also be used to take high-speed tracking shots while filming. The project will only be funded if at least $50,000 is pledged by Wed, Jan 14 2015 – currently just over $15,000 is still required.